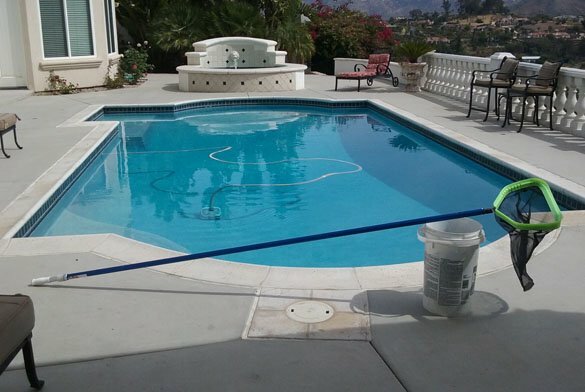 ProTouch Pool Services cleans a rental property in the East Canyon area of Escondido. The North County San Diego home overlooks the San Pasqual Valley. Along with a white plaster swimming pool, the vacation property also has a separate spa. A raised bond beam at the back of the spa has a lion head fountain. Each week our service technicians clean and balance the water in both. Although the pool has an automatic floor vacuum we still manually vacuum the pool each service stop. 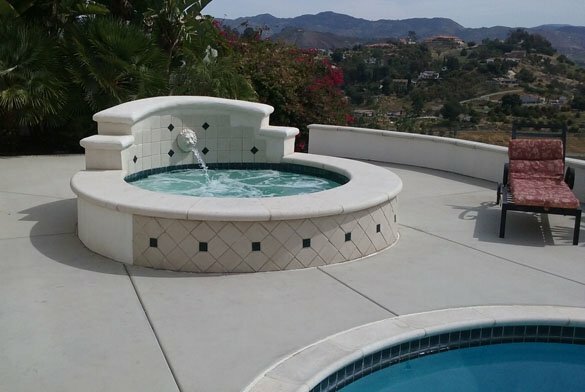 We also clean the tile and skim the surface in the pool and hot tub. The swimming pool and spa have separate sets of equipment. Skimmer baskets on the spa and hot tub are emptied each visit as are the pump baskets. Whenever a piece of pool equipment fails we notify the property owner. 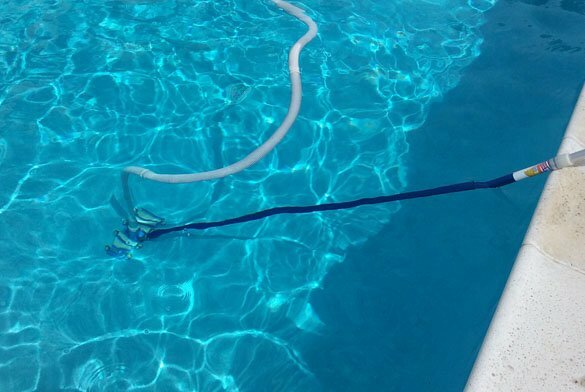 That way pool equipment repairs can be made as quickly as possible. In most cases the pool service stop can be scheduled on a specific weekday. 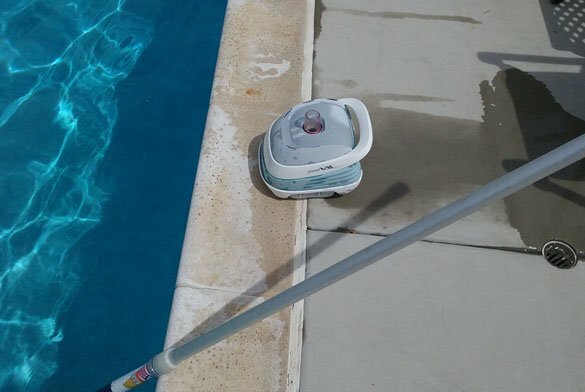 Our pool service technicians are pet friendly. When the home has pets we always make sure to close the gates. If the pool has a safety fence we also make sure they are closed behind us as well. The safety of children and pets are always our top priority. We can also help homeowners make their backyards more safe. Whether door and gate alarms, a safety fence or a pool cover is needed we can help. We are also able to remove diving boards that are a safety hazard. 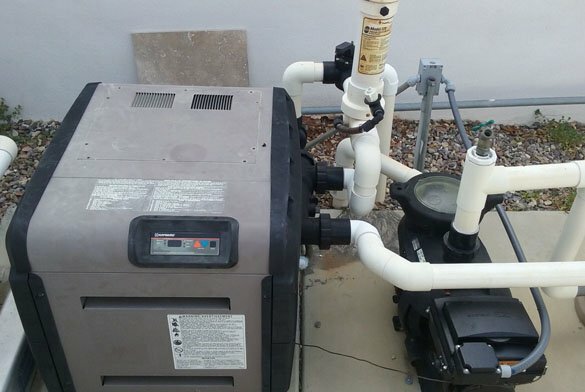 Along with our excellent pool and hot tub service we also offer equipment upgrades. 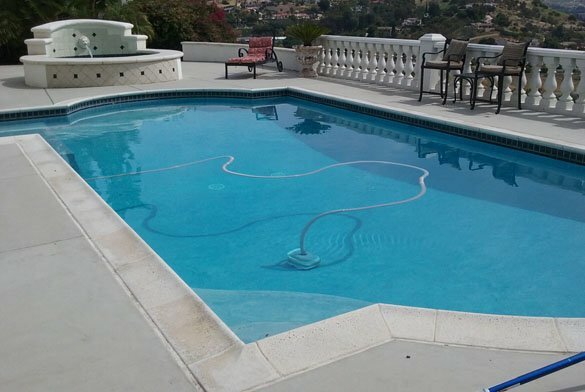 ProTouch Pool Services offers a variety of pool and hot tub services to San Diego County.